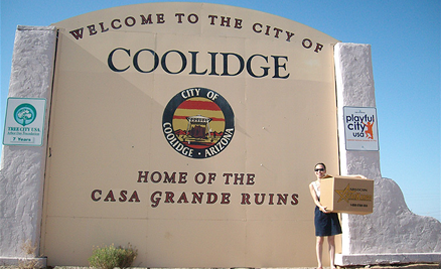 Coolidge, AZ, always presents us a great glimpse into a small town setting when we show up to pick up balikbayan boxes from our customers. The drive may be far, but we’re committed to servicing Filipinos in all parts of the state. Plus we have other cargo customers along the way, from Apache Junction to Florence to the San Tan Valley.